Routine use of postoperative upper gastrointestinal (UGI) contrast studies after sleeve gastrectomy (SG) and Roux-en-Y gastric bypass (RYGB) is controversial. 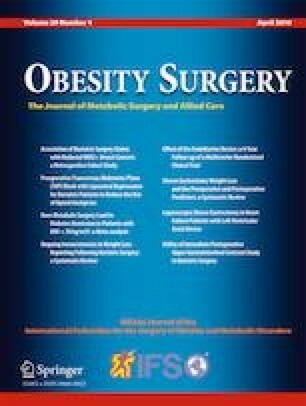 We sought to determine the usefulness of routine UGI contrast studies during postoperative day (POD) 1 in patients who underwent bariatric surgery. We performed a retrospective study of patients who underwent SG or RYGB between January 1, 2016, and October 31, 2017. Demographics, surgical data, and immediate surgical adverse effects were collected. We compared patients who underwent routine UGI contrast studies on POD 1 versus patients who did not. A total of 284 patients were analyzed; 197 (69.4%) patients underwent RYGB, while 87 (30.6%) underwent SG. Routine UGI contrast study was performed in 96 (48.7%) patients in the RYGB group versus 31 (35.6%) in the SG group. The overall adverse effect rate was 2 (0.7%); postoperative UGI contrast study was negative in both cases. Mean (SD) length of stay (LOS) for patients who underwent UGI contrast study versus those who did not was similar in the RYGB group (1.8 [1.6] days vs 1.8 [0.9] days, respectively) and the SG group (2 [1.18] days vs 1.9 [0.9] days). The average cost of a postoperative UGI contrast study was $600, resulting in an additional overall cost of $76,800. Use of routine UGI contrast studies after bariatric procedures does not appear to add clinical value for the detection of leaks. Furthermore, systematic use of postoperative UGI contrast studies neither seem to reduce LOS, nor appear to increase procedure costs. Portions of this manuscript have been published in abstract form: Elli E, Vinan-Vega M. Utility of immediate postoperative upper gastrointestinal contrast study in bariatric surgery. Obes Surg. 2018;28(Suppl 2):131.